In which direction is the flow to be controlled? 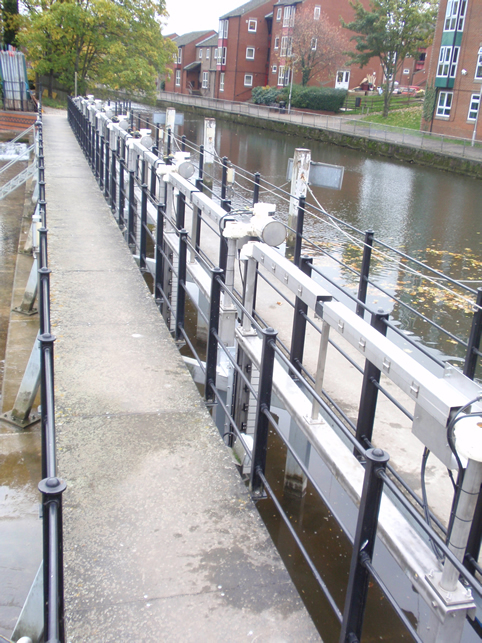 Mounting considerations –Wall, channel, end wall, side wall, rebate mounted? On and off –seating head ? On-seating head – Pressure forcing the door onto the frame. Off-seating head – Pressure forcing the door away from the frame. Thrust direct on a frame – Non-rising extension systems. Non rising stems rotate through a gunmetal nut in the penstock door. The screwed portion of the stem at the bottom is probably immersed in the water, effluent etc. Used where thrust reaction is accommodated at the top of the frame. 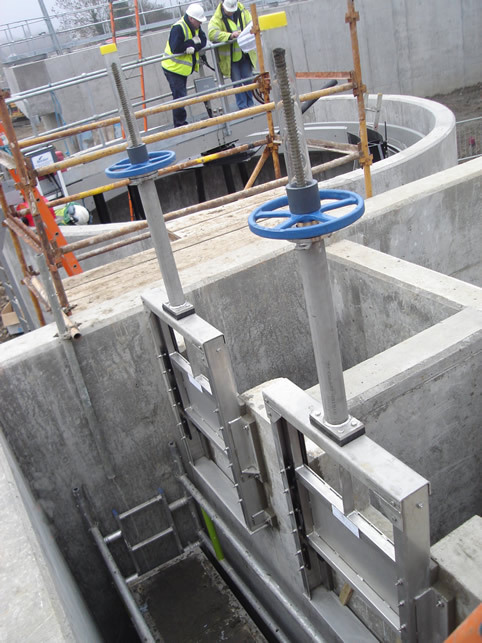 Are connected to the penstock door and work through a revolving bronze nut located in the operating gear. The screw thread at the top of the stem is generally not immersed and is readily accessible for lubrication. Used where thrust reaction is accommodated at a point other than the top of the frame. 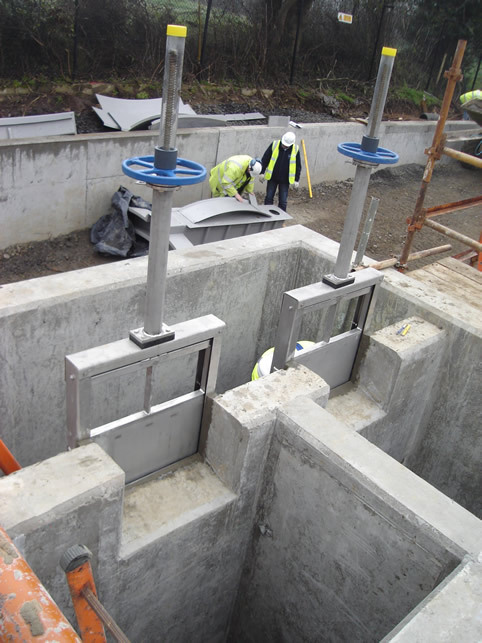 Wall mounted penstocks are fixed to a vertical end of wall channels, chambers or similar structures by means of foundation bolts utilising a sand/cement non shrink grout to effect a seal between the wall and penstock frame. © 2019 Waterfront Fluid Control.